In 1973, Cees M. van den Bos graduated from The Hague University of Applied Sciences with a degree in Community Development. From 1974 to 1977, he coordinated a youth centre in Alkmaar, the Netherlands. Since 1977, he has headed the first Dutch local volunteer centre, which is located in Arnhem (www.vrijwilligeinzetarnhem.nl). 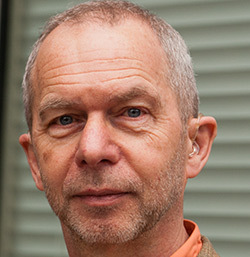 Van den Bos has also served on various boards and fulfilled a variety of functions within the Dutch national volunteering infrastructure, including extensive activities with the National Association of Volunteer Centres (Landelijke Vereniging van Vrijwilligerscentrales) and the Association of Dutch Voluntary Effort Organizations (Nederlandse Organisaties Vrijwilligerswerk or NOV). In 2004, he began doctoral studies within the Chair for Volunteering, Civil Society and Business at RSM Erasmus University. The topic of his doctoral research was volunteering infrastructure, particularly with regard to the motives that governments and other parties have for establishing local volunteer centres in America, Denmark, England, Finland, Germany, Italy, Norway, and the Netherlands, in addition to defining their tasks, functions and performance. He has published several articles on this topic in the Dutch volunteering research journal Vrijwillige Inzet Onderzocht (ViO), and he has provided lectures at home and abroad. Most recent articles are listed first.